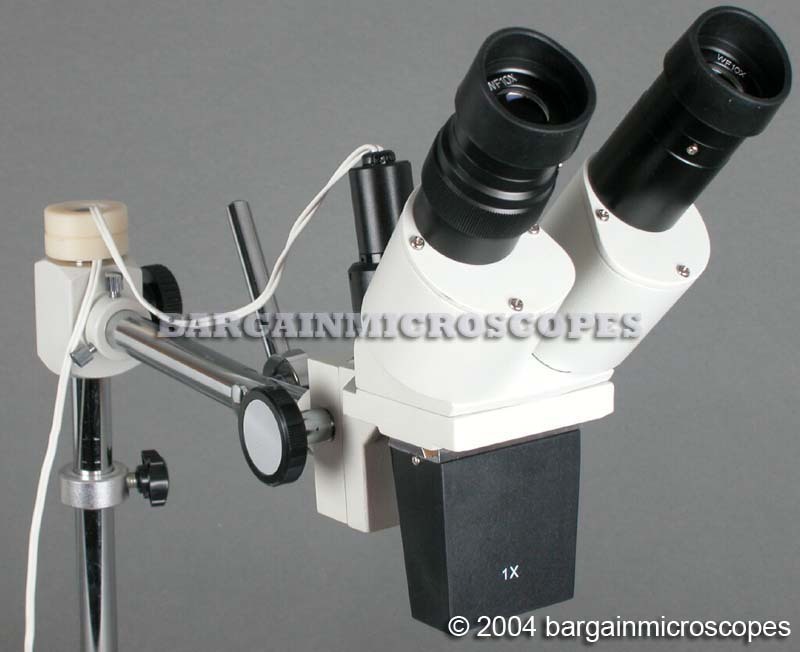 Great Value Stereo Binocular Microscope! 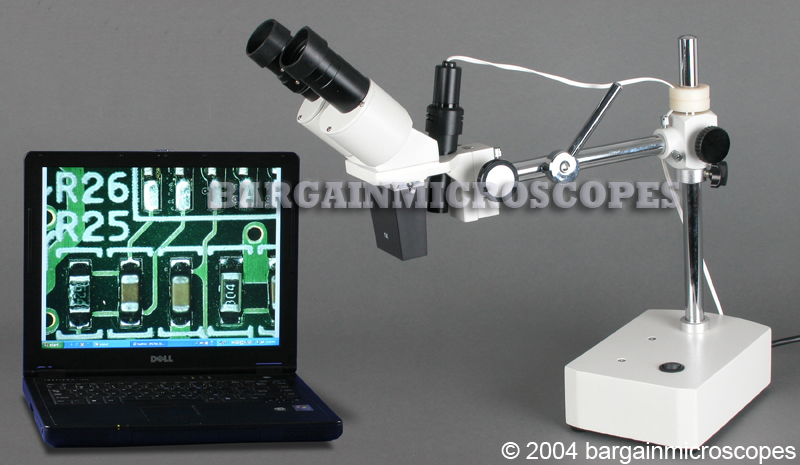 Ideal for doing Circuit Board Repair, soldering, and examination. Great for any job doing tiny intricate work. Also fine for simple inspection. 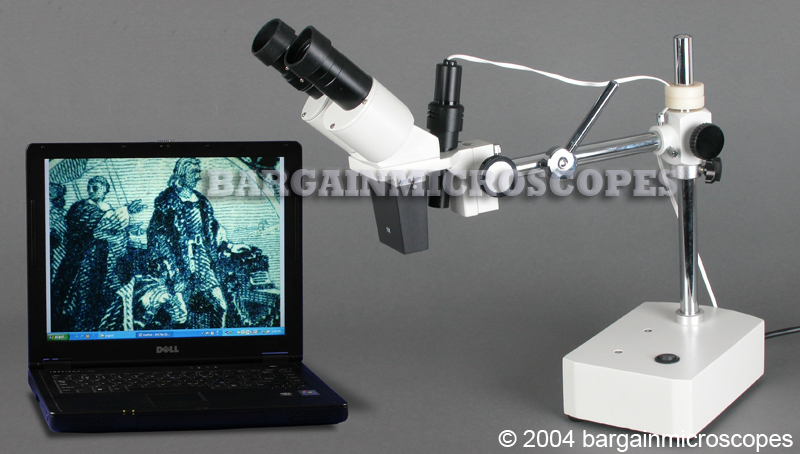 Boom Arm Increases the capability compared to a fixed frame scope. 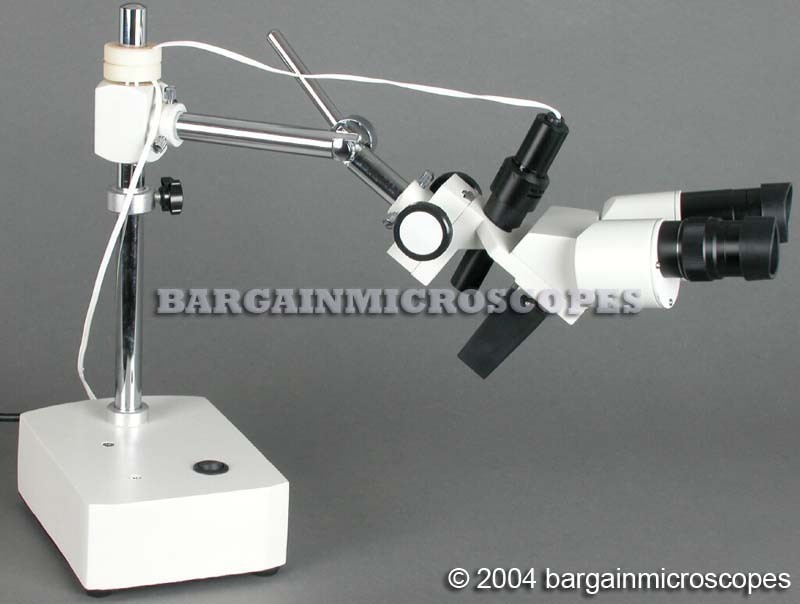 Scope Head can Rotate at any angle as needed for the application. 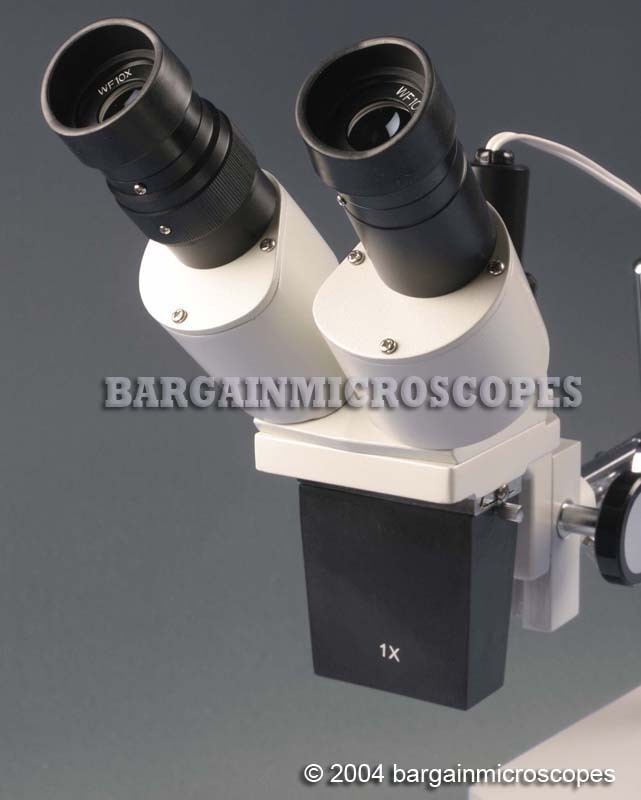 Magnification: 5x (using 0.5x objective) and 10x (using 1.0x objective). Includes 0.5x and 1.0x Objectives. Built-In Electric Light for Even and Bright Illumination. 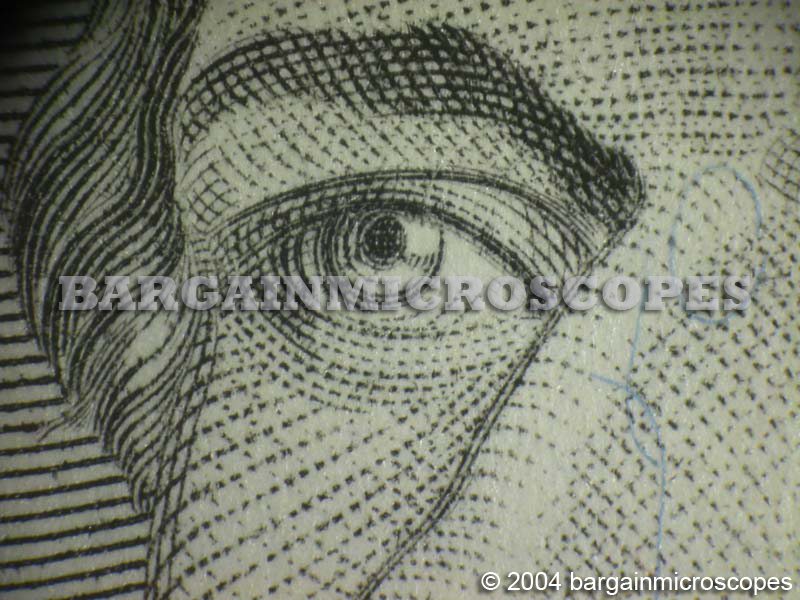 Adjusts to the Distance Between your Eyes: 50 to 77mm InterPupillary Distance. 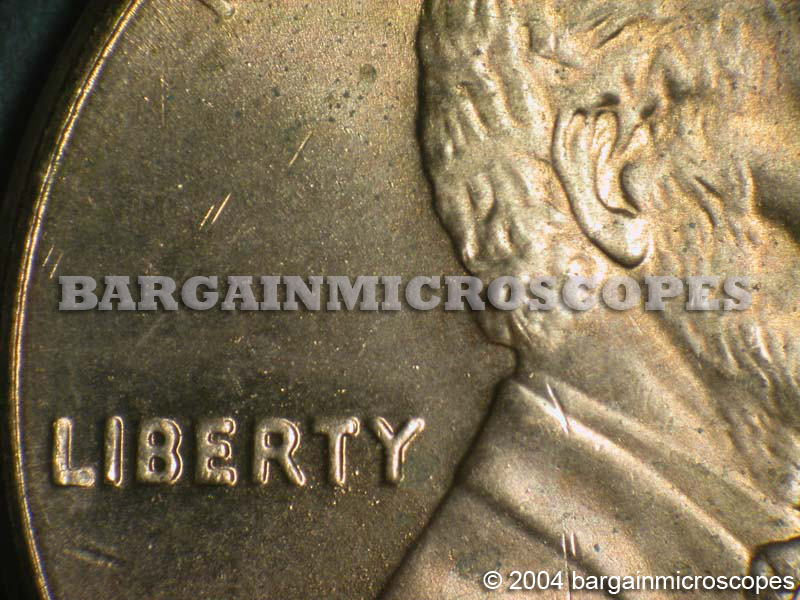 Long Working Distance to Allow Room for Your Tools (Distance from Bottom of Lens on Head to Top of Object in Focus): 220mm (with 1x objective). Large Working Area since Head is on a Boom Arm. 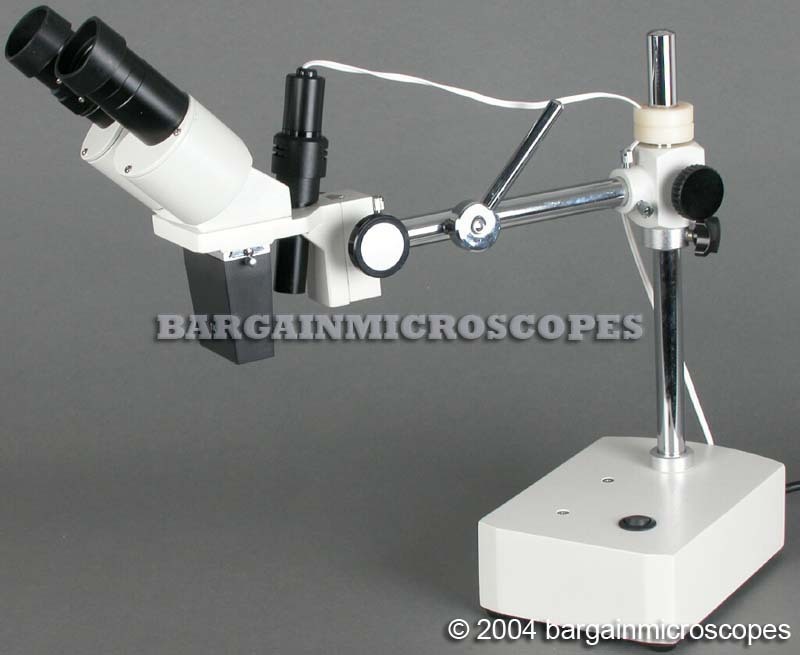 This allows for easy viewing of Large items. Quality Construction, Metal Head with Heavy Solidly Built Boom Stand. 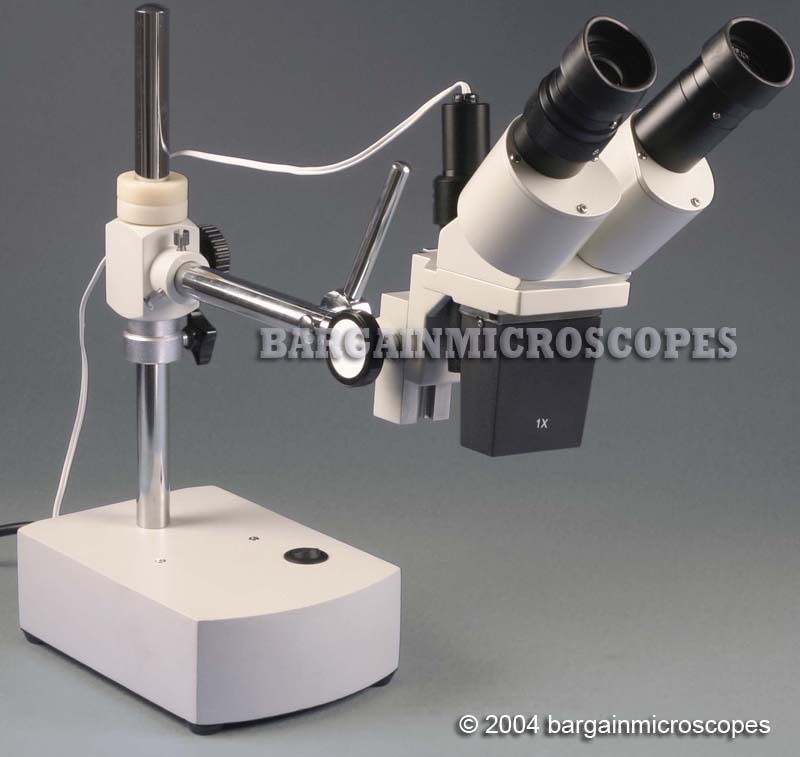 Total Overall Maximum Height of Microscope: 460mm. Total Instrument Weight: 13.5 lbs. Includes Dust Cover and Extra Bulb.